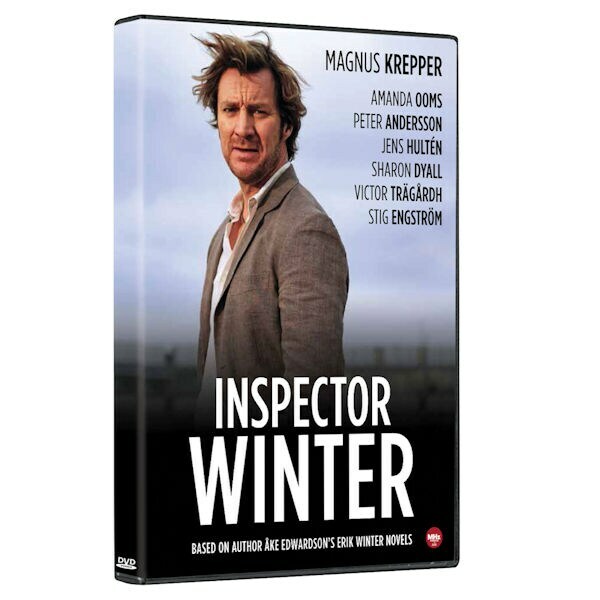 Magnus Kepper (The Bridge) stars as Inspector Erik Winter in this Swedish noir based on bestselling novels by Ake Edwardson. Dedicated yet tormented, Winter confronts the worst of the human psyche as he investigates a series of murders. Away from work, his wife and two daughters are a refuge. Includes Beautiful Country, Room No. 10, Almost Dead Man, and The Last Winter. 8 episodes, 7 ½ hrs, 3 DVDs. Swedish with English subtitles. Winter investigates the murders of two immigrants in a suburban convenience store. Was this a hate crime or a drug deal gone bad? The only witness is a young boy on a bike, who harbors his own family secrets. Winter intensifies his search for the boy on the bike, who may be the only witness to the convenience store murders. A woman is found hanged in a hotel room, and Winter realizes the scene is identical to a decades-old unsolved case. Winter's obsession with the past puts his own life in danger. Winter discovers a connection between an abandoned car found on a bridge and the seemingly random deaths of two men. The key to the mystery lies in the disappearance of a 15-year-old girl from an island summer camp in the '70s. Winter investigates the strange case of a woman murdered in her own bed. Winter grapples with unanswered questions in the case of the sleeping murders.